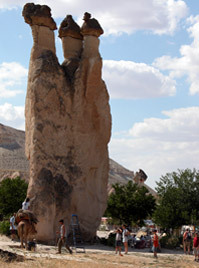 The history of Mephisto Voyage started in 1986 when Ahmet Kılınç opened the İn Pension in Çavuşin, Cappadocia. 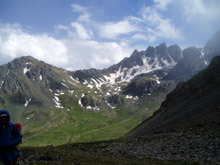 As a professional guide Ahmet started providing the guests of the pension with guided treks through the surrounding region. 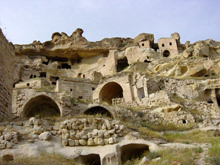 He can be seen as a pioneer in this as he was one of the first people in Cappadocia to offer guided walks through the surrounding countryside as well as map out the different paths on which it was best to walk. Since then he never stopped looking for new itineraries and places to incorporate into the programs offered first by İn Pension and later by Mephisto Voyage. 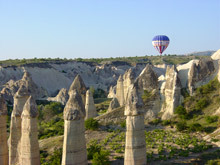 By 1992 the necessary infrastructure had been developed to offer a number of different tours through the Cappadocia region. A year later tours through the whole of Turkey were incorporated. This eventually led to the founding of Mephisto Voyage in 1999. The already existing tours formed the core of this official travel organization; new programs were added and old ones improved. Now Mephisto Voyage works together with numerous foreign trekking agencies and keeps on expanding. The satisfaction of our customers and our partners provides us with continuous motivation to carry on developing new programs as well as improving already existing ones. Our goal for the future is to be as successful as we have been in the past.